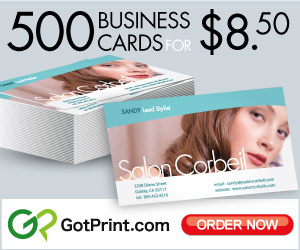 Recent statistics have shown that more than 27,300,000 business cards are printed on a daily basis . This proves that business cards are still in demand and relevant in today’s competitive market. While the common usage of a business card has been limited to simple hand-out during social and networking events, there are other strategies you can implement to get more out of your cards. Before we dig deeper into what one can do to monetize their business cards, it’s important to realize that business cards are a marketing tool that can assist you in acquiring new customers, nurture leads, and increase sales. 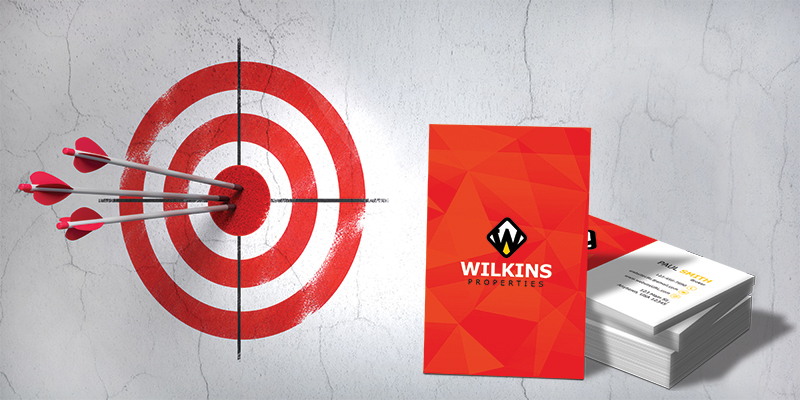 Business cards play an integral role within your marketing mix to move cold leads into buyers. This can be accomplished with a proper understanding of your audience and coming up with a sound lead-nurturing strategy. Many business owners fall into the trap of trying to please everyone and this can prevent them from growing their operations, and ultimately from thriving. Customers needs vary and you should only target the audience that will yield a high ROI (Return on Investment). – Better serve them, meet their needs, and provide scalable solutions. – Develop a clear and powerful value proposition that will make you stand out in a competitive niche. – Focus your money and energy to what appeals to your audience. A) Determine challenges your company can solve. C) Create detailed customer profiles (avatars) to represent each group. 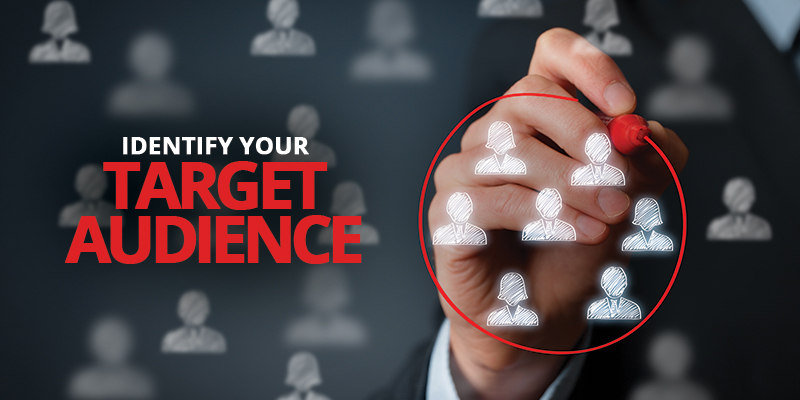 Now that you know who you need to target, it’s time to give them a reason to choose you over your competitors. If you are selling a product or service, chances are others in the same space are offering similar products. To understand the competitive landscape of your business, a competitive analysis must be conducted to see how your company ranks among others. It’s necessary to answer this single question in order to create a powerful and attractive value proposition: Why should I buy from you? 1) Appeal – How much do I desire this offer? 2) Exclusivity – Where else can I get this offer? 3) Credibility – Can I trust your claims? 4) Clarity – What are you actually offering? Discover your true value proposition and use it in your marketing assets to increase your lead acquisition potentials. 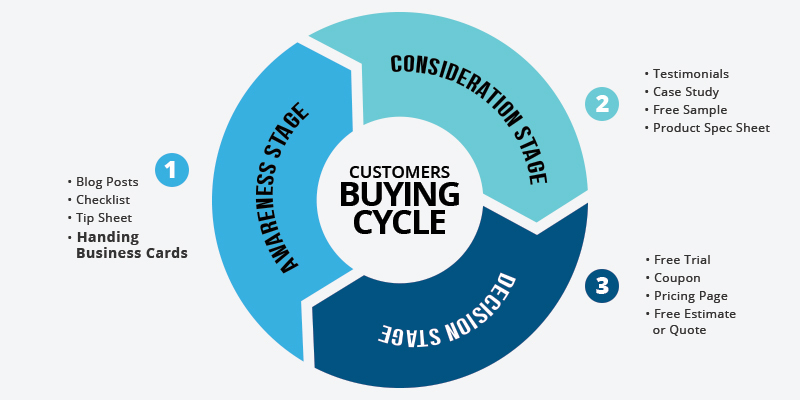 Before we move on to the next step, it’s important to understand the customer’s buying cycle and in which stage handing business cards fits in. There are 3 main steps in a customer’s journey: Awareness, Consideration, Decision. In this stage, prospects are in the discovery phase where they want to know their need. Since prospects are trying to identify the problem, your best bet would be to provide them with information that highlights the solution. For example, a content piece that highlights the five common mistakes your audience could be making in a specific niche would be a good topic to target. In this stage, customers have already identified the problem they are facing and trying to look for solutions. Make sure to focus on content or marketing materials that are solution focused. For example, if your audience needs a better way to manage their marketing campaigns, show them how an automated approach might be the solution to save time and money. Customers in this stage know what they need and are looking for the best product or company that can help. This is a prime time to shine and clearly highlight your products’ value proposition. Refer to the four forces that affect the effectiveness of your value proposition in order to stand out from the competition. Make sure to highlight the things that make your products and solution more attractive such as guarantees, delivery time, shipping speed, etc. The practice of handing business cards will most probably fall under the awareness stage since prospects may not have known about you before making the initial connection. The business card’s role will mainly focus on moving your leads from one stage to the other, so make sure that your strategy is achieving just that. Try not to hard sell to your potential customers because there is a big chance they aren’t ready to make that decision yet. Concentrate your efforts on acquiring cold leads by offering something that they deem valuable and won’t require any (or small) investment, such as offering a FREE downloadable e-book to learn the secrets of managing your sales reps. Or a FREE account audit (or FREE business consultation). The above offers act as a lead magnet that will help you acquire leads and slowly move them into your sales funnel. 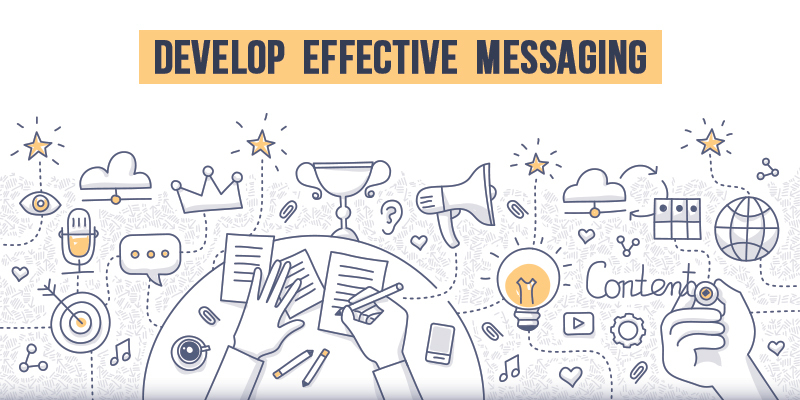 Make sure that the lead magnet that you come up with connects with your company’s value proposition and goals. Have a clear and visible call-to-action at the end (or middle) of your lead magnet to link them back to your website to learn more about your services. What goes on your card matters. The message you convey on your card should support the goal you are trying to achieve based on what you know about your audience. Beside the main contact and company information, provide an offer or opt-in gift (lead magnet) on the back of your business card. This is a prime space to be used for such a purpose. The price difference between a double-sided and a single-sided business card is negligible, so make sure to go for the double-sided cards to double the impact! 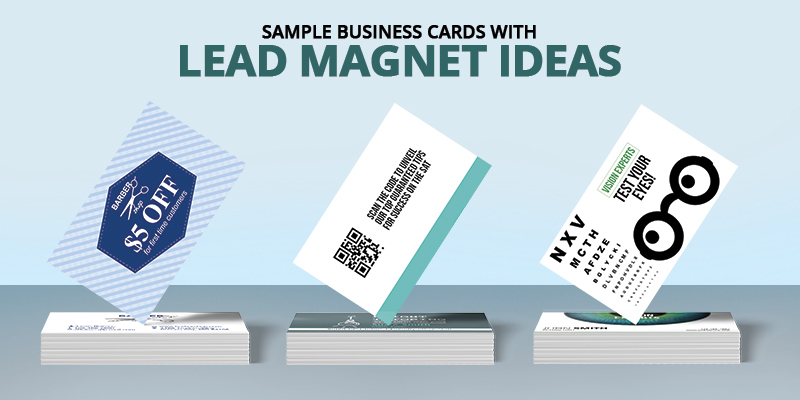 If more space is needed to convey your company’s value proposition along with an offer (lead magnet), try a folded business card. These cards will provide you with enough space to add much more info than the standard size. It pretty much acts like a mini brochure. These types of cards can be used for specific events/occasions. It’s time for the fun stuff! The look and feel of your cards speak volumes about who you are and the brand you are representing, so make sure to put more attention to it. – Show creativity and provide engaging visuals. – Give a sense of authority with quality paper stock: The impression you are trying to convey will dictate what kind of paper stock should be used. Use a card stock that is thicker than 100lb to give a richer look to your cards. It’s recommended to use 16pt (or higher) cards. New and trendy paper stocks recently have been introduced, which could be a game changer. 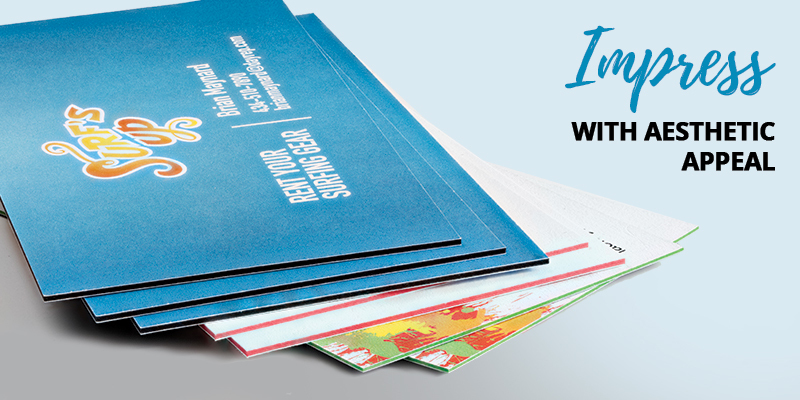 For instance, a triple-layered paper stock will give your card an aesthetic boost. – Show commitment to quality with crisp color prints: Make sure to print your cards with a reputable printing company because it will show on your card. Don’t go for free services because the printing quality will be drastically lower than expected. Remember that your business cards speak loudly about your brand’s commitment to quality and values, so make sure to pay extra attention to who you choose to print your cards. Always be testing. You might have heard this before, but are you actually doing it? 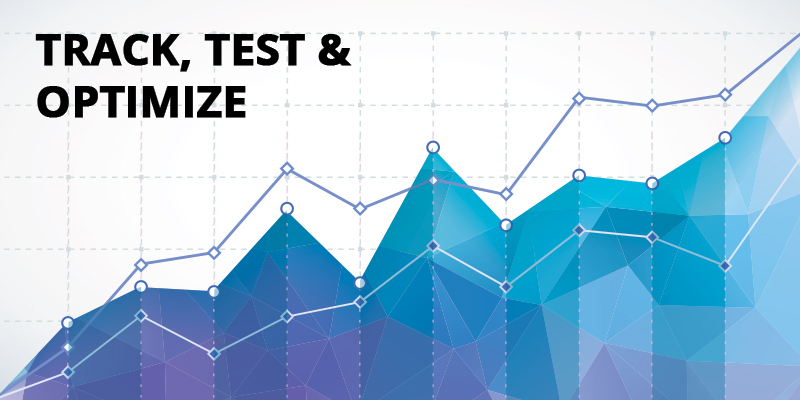 While testing has been gaining a lot of popularity in the digital world, it’s not getting utilized with print marketing materials. The main reason for this is due to tracking complexity and technology limitations, but that doesn’t mean you shouldn’t test your print assets. To conduct a successful test, select one element and decide on what you deem valuable to your company before you start testing. Also, make sure to have a large enough sample size to get enough data on which to base your conclusion. I would recommend printing 2,500 of each card and distributing them to your prospects randomly at events and conferences. Ideally, every call-to-action must be tracked. This includes phone numbers, clicks to visit a specific link and download requests (in the case of an E-book or white paper). To track phone calls, use a unique phone number or a phone tracking company. To track web-related activities, use an analytic tool such as Google Analytics and tag every URL with a custom UTM tag. Make sure to hand your cards to your target audience as this will help you focus your efforts on those who are interested in what you offer. Business cards are the only tangible marketing tool your prospects keep after they meet you, so make sure to craft a card based on the 5 actions previously listed. Don’t forget to ask for your client’s business card in return to follow up and make a connection. Wow .That is really a good idea..I think your tips will help me a lot. Thanks for pointing out that since the handling of business cards falls into the awareness stage of the customer’s buying cycle, we shouldn’t be too eager to sell them something and should give them time to make a decision. I want to have some new business cards made, so I’ve been researching the etiquette of handling them and using them to network. It makes sense that trying too hard to sell a product during the initial connection could negative influence their decision, so I appreciate you sharing that tip! Great article! I’m just starting my own career in sales, and stuff like this is pure gold! So am I. I’m trying to start my own and reading this article is like having your own private school at home. Good luck to you Scott. yeah business cards are an awesome way to get customers to buy from your business ! Love the tips and great info. Best article I’ve seen on business cards for small businesses. I’m going to post it for my 275 Certified Vision Board Coaches so they understand better the buying cycle and the concept of a lead magnet. Thank you so much — the right article at the right time! Let me add a trick that I read in a book by Dale Carnegie: Add a line and the phrase “recommended by” on the backsite. This way you can ask loyal clients to hand out your card to a business friend and put their name on it, which will turn your business into a personal and signed referral! Great tip! Thanks for reading, Tim. Awesome tip! Thanks for sharing. Yes! my thoughts as well! Refer, Refer, Refer!